Cortical modeling is an area of research seeking to model and simulate the cerebral cortex of the brain, which is of fundamental importance to conscious thought and action. Computational power is a major challenge in this field and the problem is inherently well-suited to SIMD architectures. This suggests the implementation of a general-purpose GPU framework for the development and execution of cortical models, and indeed, several such frameworks do exist. However, they suffer from hardware and software vendor lock-in and unnecessary assumptions that limit the generality of the models they can execute. In order to overcome these obstacles in preparation for anticipated future work by the author and others, we have implemented a new cortical modeling framework in OpenCL using PyOpenCL. The new framework has several notable advantages: it is open-source, it does not suffer from hardware or software vendor lock-in, it is cross-platform compatible, and in principle it can simulate any model expressed as a message-passing architecture on a defined graph of nodes grouped into atomically-executed regions. 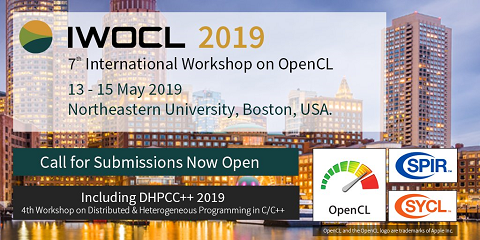 Further, a given model requires only a minimal amount of C code (using the industry-standard, vendor-neutral OpenCL C), with the remainder written in Python. All overhead associated with managing and executing the model is handled automatically by the framework. The user need only specify the node algorithm(s), network layout, regional execution order, and inter-node i/o definition, which are the essential components of any cortical model. We have opted to name the new framework "Phoenix".